Did you know that sixty percent of all sandwiches sold worldwide are hamburgers? If you’re craving a hamburger, try some of the best gourmet burgers in Chicago. These three restaurants are just around the corner from OneEleven, and they have all the classics. Established in 2008, Epic Burger is a local chain that was built on the concept that less is more. Owner David Friedman graduated from the Culinary Institute of America. He states that one of the most satisfying achievements of his career is having people thank him for opening the restaurant. The service is always friendly, and the N. Clark St. location offers an industrial vibe featuring picture windows and colorful works of art. Try the classic burger with onions, tomatoes, pickles, and “Epic sauce.” Then wash it down with a lemon coconut shake. The Butcher & The Burger boasts that it offers a dash of an old-fashioned butcher shop with a pinch of culinary artistry mixed in. Its vintage meat locker has the highest quality beef. Diners can choose an all-natural seasoning mix and watch as the chef blends it with the burger patty. Toppings include raw onions, wasabi mayo, and cheddar cheese. Also, the homemade potato chips make for the perfect side. At The Bad Apple, all of the menu items are made with fresh ingredients. Famed butcher Pat LaFrieda crafts the burgers by hand. Bon Appetit, Thrillist, and Zagat have recognized the restaurant for its fresh ingredients and delicious menu. Guests rate it four-stars on Yelp because of the vibrant atmosphere, varied selection, and friendly, attentive service, too. These are just a few of the best gourmet burgers near OneEleven. 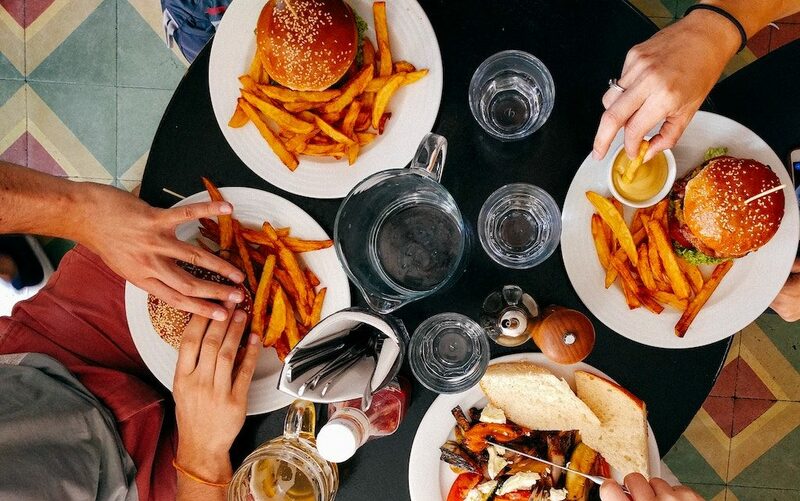 When you’re not craving a burger, try these popular neighborhood restaurants for a wider variety of options. If you’re searching for a place to call home, please contact us to arrange a tour. Our leasing agents would love to show you around.